Just a quick reminder that this coming Wednesday, March 6th we will have our usual monthly meeting at the Milhopper Branch Library at 7pm (Meeting Room A) and will be taking a big group picture with our challenge quilts. Please be prepared to have your finished quilt (or at least the top) completed so we can share our “Storybook” inspirations with each other and take some pics! 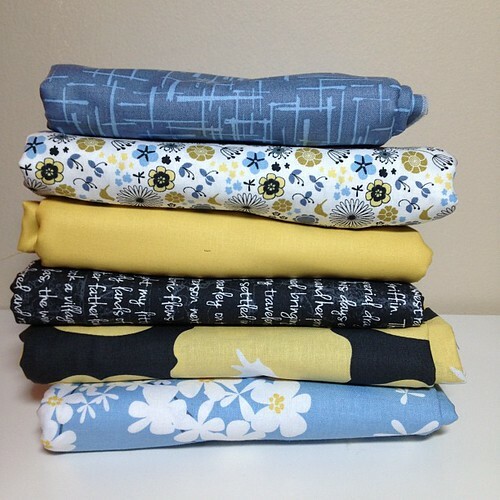 This is the fabric we have been working with: Madrona Road by Violet Craft for Michael Miller. Some of you shared your quilt progress with us in February and I can’t wait to see the finished tops next week! I will remember my camera this time and be sure to post pictures for everyone to see!